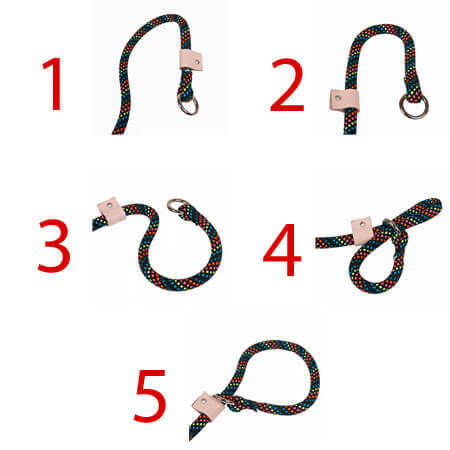 The multi color rope slip lead combines unique statement style with the ultimate in control and training. Built to last and made in the USA at the Yellow Dog Design facility in North Carolina. Featuring a heavy duty polyester braid with a cushioned cored.